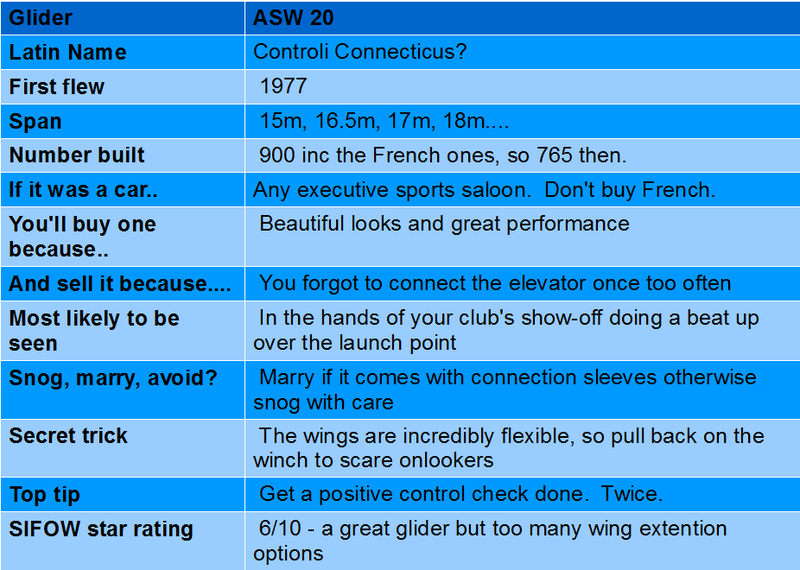 The ASW-20 is an annoyingly good looking glider that comes from the same underground caves in Poppenhausen that made the wonderful K6 and is the last model they made without automatic control hook up. 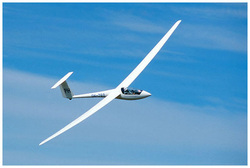 The '20' is a flapped glider, some early models having the 'Jesus' flap, so called due to the sound the pilot made when discovering the effects of pulling 90 degrees of flap on finals for the first time. Later models were built under licence in France, of which the general conculsion is "non". 16.5m and 18m versions exist and seem to provide the stated performance improvement. The only real downside to a 20 is that they are very easy to rig without connecting the controls correctly, which can reduce that performance improvement somewhat.